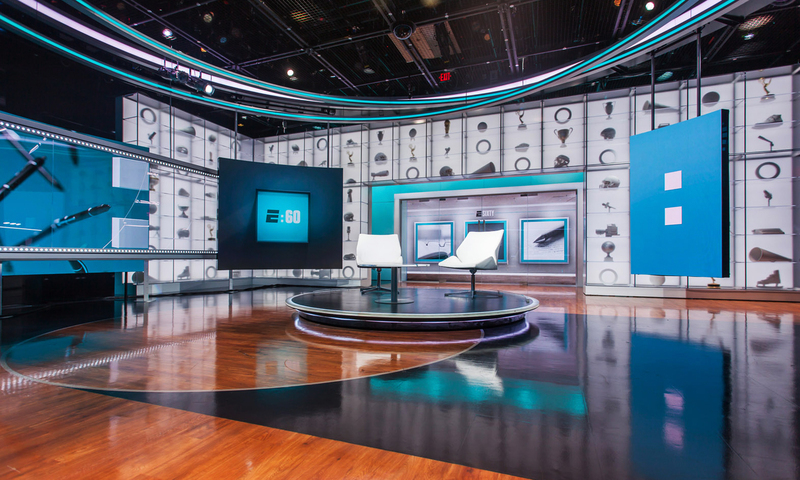 When designing Studio Z for ESPN, Clickspring was focused on creating a scenic environment that put great journalism and storytelling at the forefront. 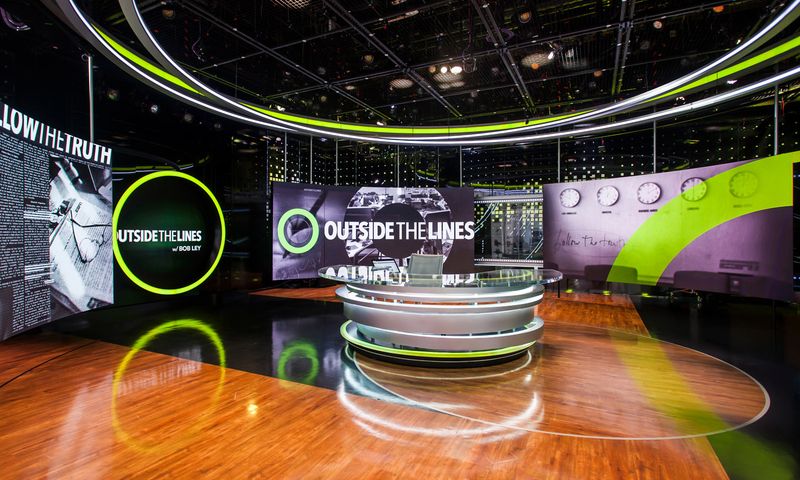 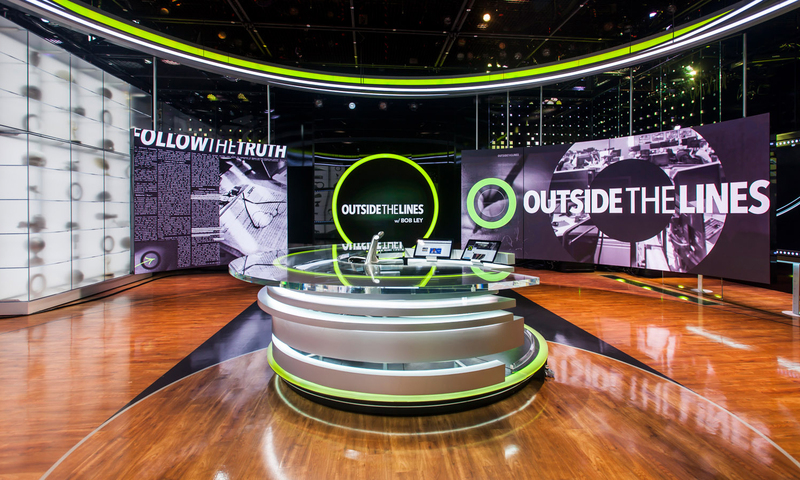 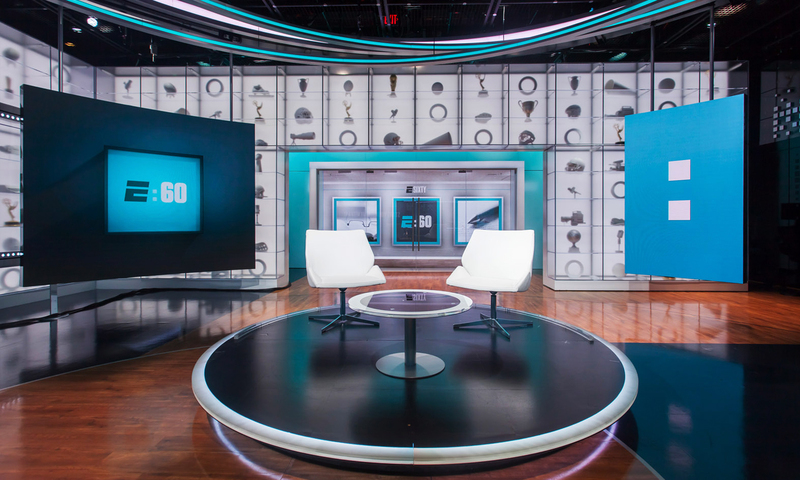 With the intent to pay homage to the rich history of Bob Ley’s “Outside the Lines,” the design marks the first studio built specifically for the show and hosts additional programming for “E:60”. 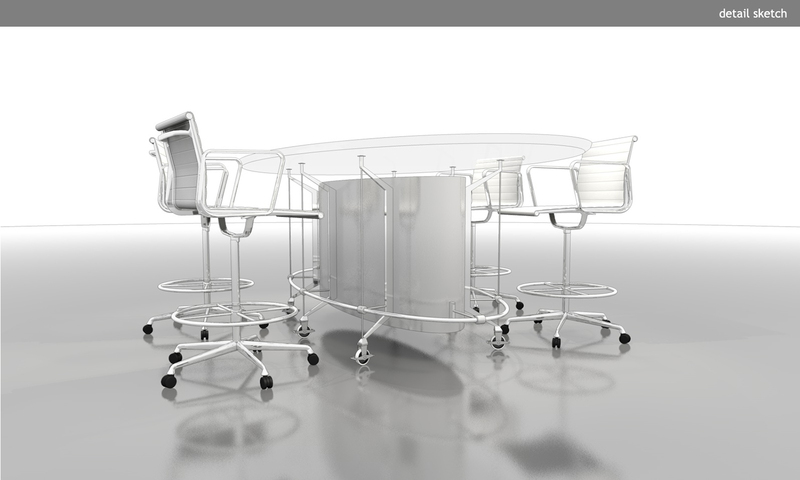 Visual layering is incorporated into the design through the use of clear and opaque acrylics with applied texture treatments. 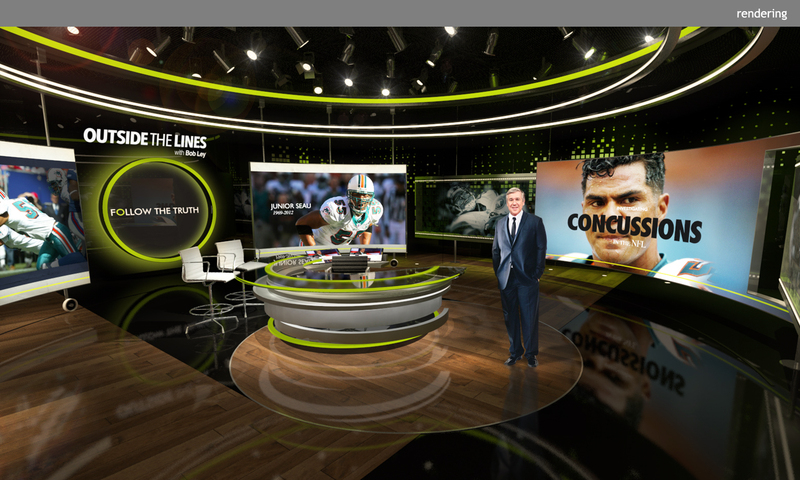 This approach, coupled with large, arced, tracking LED video walls, provides an immersive environment that allows the show’s new graphic identity to take center stage. 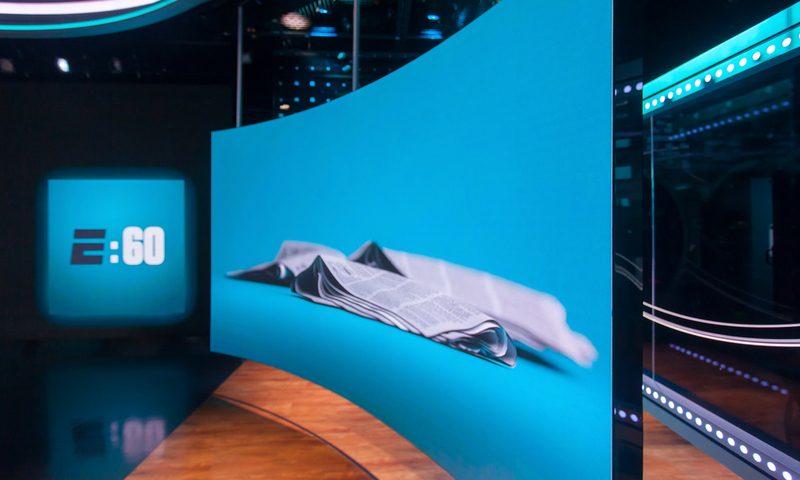 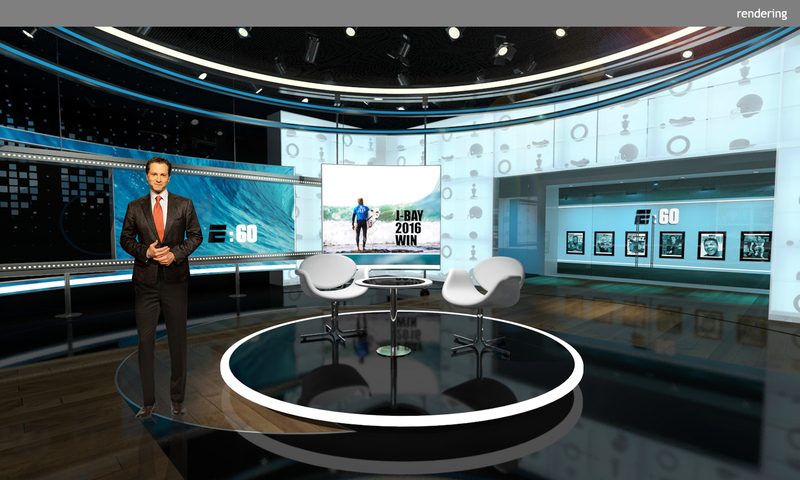 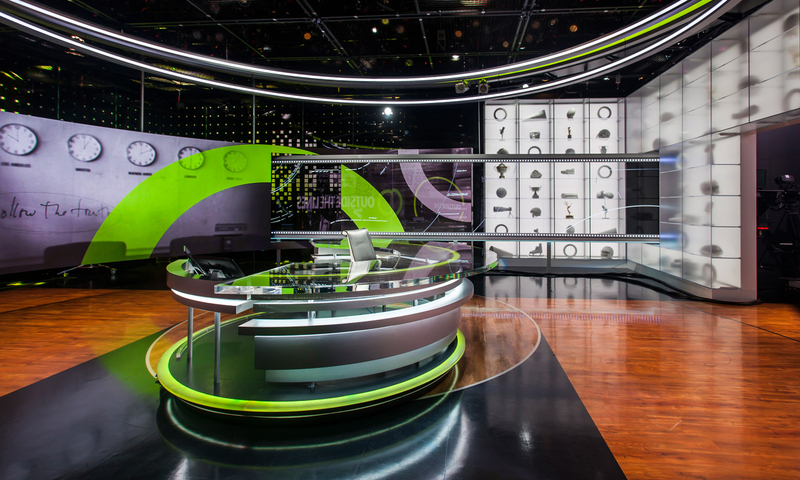 The studio, designed for 360° shooting, also features a backlit, frosted acrylic display containing sports memorabilia and a passage to an LED wall behind glass doors, which serves to visually expand the studio. 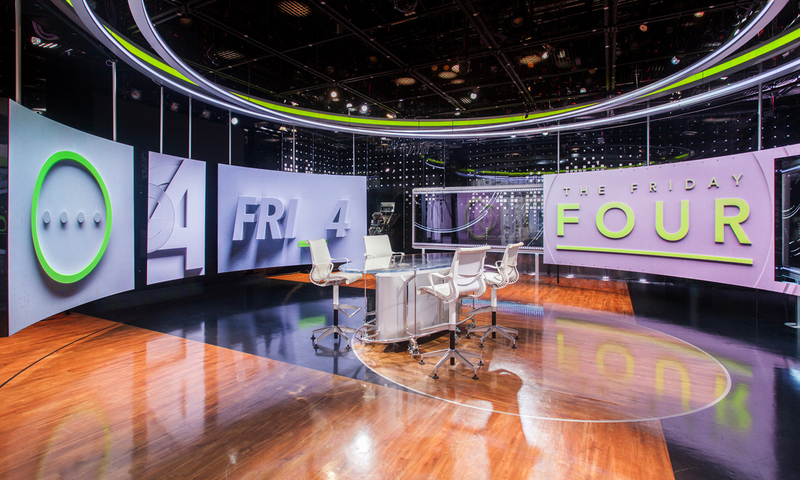 The result is a space that has a highly reflective and pleasingly amorphous feel.